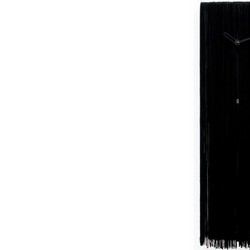 Cugino ITT by Progetti is a wall clock: Wall cuckoo clock made in wood. Funny and odd Cousin ITT is inspired by the well-knowncharacter of the Adams Family. Battery quartz movement. The Cuckoo strike is switched off automatically during the night controlled by a light sensor.